The Sinas Dramis Law Firm has been a part of the Michigan landscape for more than 60 years. During that time, our attorneys have devoted their time and effort to fighting for the rights of injured people. Our longstanding presence in the community and our rock-solid reputation are why our firm is a recognized leader in Michigan personal injury law, auto no-fault law, bicycle law and family law. Over the years, our perso nal injury and domestic relations attorneys have not only received recognition for their own achievements, but the firm itself has been distinguished for its commitment to the preservation of the civil justice system and Michigan no-fault system. Our lawyers are called upon regularly to speak at educational seminars, particularly on the topic of auto no-fault law. They also write informative articles that appear in newspapers, magazines and publications across the state. 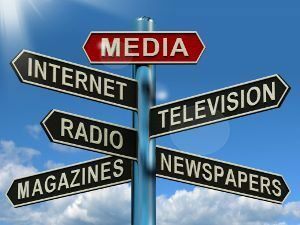 Our experienced attorneys are also frequently sought out by television, radio and print media outlets to discuss important legal issues. “Know the Law” — Grand Rapids personal injury attorney Tom Sinas co-hosts this weekly television segment on West Michigan FOX 17, where he discusses legal topics that impact people’s lives. FOX 47’s “Morning Blend” — Lansing personal injury lawyer Stephen Sinas, and other Sinas Dramis attorneys, appear regularly on this morning program to talk about legal issues and laws that affect the public. WLNS 6 “Legal Edge” – Bryan Waldman, who specializes in personal injury cases in Michigan and Chicago, appears regularly to talk about a host of legal topics, from breastfeeding laws that protect mothers and children, to snowmobiling safety tips, and landlord-tenant rights and responsbilities. From Lawyer’s Terms To Layman’s — Jackie Dupler was interviewed by the Lansing City Pulse about the firm’s annual People’s Law School program. Bryan Waldman Talks Michigan Bicycle Laws On Radio Show — Bryan Waldman appeared on Michigan Radio’s “Morning Edition” program, where he talked about the ongoing legislative efforts to improve Michigan bicycle laws. Stephen Sinas Talks No-Fault On Lansing-Area Television Program — Stephen Sinas discussed auto no-fault insurance on the August 10 edition of “Open Line,” a Lansing call-in television program. Sinas Dramis Featured In Michigan Innovative Health Magazine — The Sinas Dramis team of Michigan car accident attorneys contributed numerous articles to the Summer 2017 edition of Michigan Innovative Health Magazine, which focused on auto no-fault law. George Sinas: Family Legacy Bolstered Auto No-Fault Expert – The inaugural issue of Leading Lawyers Magazine – Michigan Edition featured a profile of George Sinas and the Sinas Dramis Law Firm. Sinas Dramis Gives Away Helmets To Help Avoid Biking Brain Injuries – The Grand Rapids Legal News covered our June 10, 2017 Lids for Kids bike helmet giveaway in Grand Rapids. Lansing Lids For Kids – The Ingham County Legal News covered our May 20, 2017 bike helmet giveaway in Lansing. Bike Law Specialist Rides To Promote Charity Event — Bryan Waldman’s 350-mile bicycle ride to the Lids for Kids bike helmet giveaway in Traverse City was covered by Michigan Lawyers Weekly (note: must be an MiLW subscriber to access the full article). MSU Won’t Reopen 2014 Inquiry That Cleared Nassar — Jim Graves talks with the Lansing State Journal about his client’s lawsuit against former Michigan State University team physician Larry Nassar. What Are Your Rights As An Airline Passenger? – Stephen Sinas spoke with Lansing’s WILX Channel 10 about airline passenger rights, in light of a United Airlines incident where a passenger was forcibly removed from an overbooked flight. Top 5 Under 35 Lawyers — Profile of Jackie Dupler, who was selected as a 2017 “Top 5 Under 35” attorney by the Ingham County Bar Association. Leaders In The Law 2017: Jim Graves — Profile of Jim Graves (p.16), who was selected as a 2017 “Leader in the Law” by Michigan Lawyers Weekly (note: must be an MiLW subscriber to access the full article). Woman Who Prompted MSU Investigation Against Nassar Files Suit — WLNS coverage of the federal lawsuit filed by Jim Graves, alleging that Michigan State University failed to properly investigate his client’s report of sexual assault, and also failed to properly investigate similar allegations against Larry Nassar in the late 1990s that were brought to the attention of an MSU coach and trainers. Attorney: MSU Failed To “Adequately Investigate” 2014 Nassar Complaint — This Lansing State Journal article discusses the federal lawsuit filed by Jim Graves, alleging that Michigan State University failed to properly investigate his client’s report of sexual assault, and also failed to properly investigate similar allegations against Larry Nassar in the late 1990s that were brought to the attention of an MSU coach and trainers. MSU Abuse Scandal: Coach Had Gymnasts Sign Card For Dr. Larry Nassar — Jim Graves’ client, Amanda, courageously tells NBC News the powerful story of how Michigan State University dismissed her 2014 complaint of sexual abuse by Dr. Larry Nassar. MSP: Chase That Ended In Fatal Crash Was Justified — Tom Sinas was interviewed by FOX 17 in Grand Rapids about the legal issues involved in a local high-speed police chase, as well as the concept of governmental immunity. Extending Michigan’s “One-Year-Back Rule” Will Help Reduce No-Fault Litigation — Stephen Sinas wrote this blog article, which was also published in the Detroit Legal News, Ingham County Legal News, Ingham County Bar Association “Briefs” and Michigan Lawyers Weekly (note: must be an MiLW subscriber to access the full article). Open-and-Obvious Defense Extended to Municipalities — Bryan Waldman was interviewed by Michigan Lawyers Weekly for this article on Michigan’s new sidewalk law (note: must be an MiLW subscriber to access the full article). Michigan Must Pass Laws To Protect Cyclists — This article by bicycle law attorney Bryan Waldman, explaining why Michigan roads need to be safer for cyclists and how people can help accomplish this goal, was published on the Bike Law website. Feeling of Purpose — Attorney Dan Zick was profiled in the Detroit Legal News. Coordinated No-Fault Benefits: No More Payment Delays For Medical Providers — This article explaining the impact of the Michigan Court of Appeals decision in St. John Macomb Oakland Hospital v State Farm Mutual Automobile Ins Co. on medical providers was written by attorneys Dan James, Katie Tucker and Dan Zick, and was published in the Detroit Legal News, the Grand Rapids Legal News, the Muskegon County Legal News and Michigan Lawyers Weekly (note: must be an MiLW subscriber to access the full article). Sinas Dramis Attorney Enjoys Helping Personal Injury Clients — Attorney Dan Zick was profiled in the Ingham County Legal News. Letting Drivers Choose Their Michigan No-Fault Medical Benefits Is A Healthcare Gamble — Tom Sinas spoke to WWMT Channel 3 about the pitfalls of legislation that would let Michigan drivers choose the amount of their no-fault medical benefits. The Dangers Of Auto Insurance “Step-Down” Clauses — Tom Sinas was interviewed by WOOD TV 8 about the dangers of “step-down” auto insurance clauses, and how these clauses treat injured relatives worse than total strangers. Helping The “Underdog” — Attorney Katie Tucker was featured in the Ingham County Legal News. COA: MCCA Records Exempt From Disclosure: George Sinas spoke with Michigan Lawyers Weekly about a Michigan Court of Appeals decision holding that records of the Michigan Catastrophic Claims Association are not subject to Freedom of Information Act requests (note: must be an MiLW subscriber to access the full article). Local Attorney Warns Michigan Residents: Beware Of Insurance “Step-Down” Clause — An article written by Tom Sinas on the dangers of auto insurance “step-down” clauses was published in the Grand Rapids Legal News. Pokémon Go Raises Safety Concerns — Stephen Sinas talked to Lansing’s WLNS Channel 6 about the safety concerns raised when playing Pokémon Go. Beware Of The Family “Step-Down” Auto Insurance Clause — An article written by Tom Sinas, explaining the dangers of step-down insurance clauses, was published in Michigan Lawyers Weekly (note: must be an MiLW subscriber to access the full article). Steve Sinas Talks Pokémon Go Legal Concerns — Stephen Sinas explained the dangers and legal issues associated with Pokémon Go, in an interview with Michigan Lawyers Weekly (note: must be an MiLW subscriber to access the full article). Frame Of Mind — The Ingham County Legal News profiled attorney Jackie Dupler. Ingham County Bar Association Briefs (September 2016 edition) — The publication covered the accomplishments of various Sinas Dramis attorneys (see pages 10, 30-31 and 36-37). Tom Sinas Remembers 911 — Tom Sinas spoke with FOX 17 about living in Upper Manhattan on September 11, 2001, and his experience that tragic day and in the days that followed. 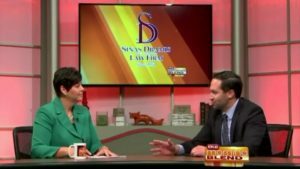 Sinas Dramis Law Firm: History & Philosophy — Tom Sinas talked with FOX 17 about the history and philosophy of the Sinas Dramis Law Firm, founded in Lansing by Tom’s grandfather in 1951. Lawyer Is Representing Victim Of Flint Crisis — Lansing lawyer Jim Graves was featured in the Ingham County Legal News. Local Bike Attorney Makes 250-Mile Trek To Kids Safety Event — FOX 47 spotlighted attorney Bryan Waldman’s 250-mile bicycle ride to Traverse City, where he participated in the Sinas Dramis Law Firm’s annual “Lids for Kids” bike helmet giveaway and safety event. Hey, Who’s Driving Here – You Or Me? — Tom Sinas talked to Michigan Lawyers Weekly about the problems associated with ride-sharing services like Uber and Lyft (note: must be an MiLW subscriber to access the full article). “Lids For Kids” Coverage — Sinas Dramis attorneys talk about the firm’s annual bike helmet giveaway and bicycle safety event in Lansing, Grand Rapids and Traverse City. For more media events, see TV Interviews. George Sinas Named “Top 10” Michigan Personal Injury Lawyer — George Sinas is one of only two Michigan personal injury lawyers outside the metro-Detroit area to be listed in the “Top 10” by Leading Lawyers. In addition, Sinas Dramis partners Jim Graves, Mike Larkin and Bryan Waldman have also been recognized in several categories as “Top 100” Leading Lawyers. Jackie Dupler Recognized As A “Top 5 Under 35” Attorney — Jackie Dupler was named a 2017 “Top 5 Under 35” lawyer by the Ingham County Bar Association for her accomplishments, community involvement and professionalism. Jackie’s award was also announced in the Ingham County Legal News. Jim Graves Named 2017 “Leader In The Law” — Jim Graves was selected as a 2017 “Leader in the Law” by Michigan Lawyers Weekly for his leadership, skills, accomplishments, professionalism and community service. Jim’s award was also announced in the Ingham County Legal News, the Detroit Legal News and the Greater Lansing Business Monthly. Bryan Waldman Honored As Michigan Cyclist of the Year — Bryan Waldman was recognized as the 2017 “Michigan Cyclist of the Year” by Programs to Educate All Cyclists (PEAC). Tom Sinas Named An “Up & Coming Lawyer” — Tom Sinas was recognized as a 2016 “Up & Coming Lawyer” by Michigan Lawyers Weekly, for his noteworthy achievements during his first 10 years of practice. Tom Sinas Receives “Prevention Award” — Tom Sinas was honored with the 2016 “Prevention Award” from the Brain Injury Association of Michigan, for his commitment to helping prevent brain injuries. George Sinas Receives “Respected Advocate Award” From Defense Bar — George Sinas has been recognized by the Michigan Defense Trial Counsel for his leadership and ethics in representing clients and protecting Michigan’s auto no-fault system. For more honors and achievements, see Honors & Awards and Our Attorneys. Hundreds Of Bike Helmets Distributed In Grand Rapids — We gave away and properly fitted 376 bike helmets on kids at the June 10, 2017 Lids for Kids event in Grand Rapids. Stephen Sinas Elected To ICBA Leadership Position — Stephen Sinas was chosen to serve as a 2017-2018 board member of the Ingham County Bar Association. More Than 400 Bike Helmets Given Away In Lansing — We handed out 438 bike helmets to kids at the May 20, 2017 Lids for Kids event in Lansing. Another Successful Traverse City Lids For Kids — We distributed more than 260 bike helmets to children at the May 13, 2017 Lids for Kids event in Traverse City. Sinas Dramis Lawyers Help Lead Mid-Michigan Organizations — Jackie Dupler and Katie Tucker currently have leadership roles in two prominent mid-Michigan legal organizations. Sinas Dramis Attorneys Teach Students About No-Fault Law — Three Sinas Dramis lawyers help educate students at Michigan State University College of Law about the state’s complex auto no-fault system. Lids For Kids: 1,373 Bike Helmets Given Away In 2016 — Through its annual “Lids for Kids” program, Sinas Dramis gave away and fitted more than 1,300 Michigan kids with free bike helmets in 2016. Stephen Sinas Joins Brain Injury Organization Board — Lansing personal injury lawyer Stephen Sinas was elected to the board of the Michigan Brain Injury Provider Council. People’s Law School: Leonard Speckin Discusses JonBenet Ramsey Murder Investigation — Lansing’s FOX 47 interviewed forensic document analyst Leonard Speckin, who spoke at the Sinas Dramis Law Firm’s “People’s Law School” in September 2016. Google Seeks Amendment To Driverless Car Bills — Stephen Sinas, a Michigan Association for Justice board member, represented the association when testifying before the Legislature on the driverless car proposal. For more on the firm’s commitment to giving back, see Community Involvement. “Auto No-Fault 101” Town Hall — Stephen Sinas participated in a Detroit panel discussion about Michigan’s no-fault insurance system. Sinas Dramis Lawyers Discuss Michigan Car Accident Laws — Three Sinas Dramis attorneys discussed Michigan auto accident laws at the 13th Annual No-Fault Institute in downtown Detroit. Sinas Dramis Attorneys Speak At 2016 “People’s Law School” — Personal injury lawyer Stephen Sinas spoke about auto no-fault coverage and family-law attorney Jackie Dupler talked about domestic relations issues at the Sinas Dramis Law Firm’s 2016 “People’s Law School” in Lansing. Institute of Continuing Legal Education’s No-Fault Summit — George Sinas, Tom Sinas, Stephen Sinas and Bryan Waldman regularly speak at this annual educational conference. For more speaking engagements, see Our Attorneys. Attorney Kevin Komar Joins Sinas Dramis Personal Injury Team — In June 2017, Kevin Komar joined the Lansing office as an associate attorney. Attorney Jon Homa Joins Sinas Dramis Auto No-Fault Team — In May 2017, Jon Homa joined the Lansing office as an associate attorney. Sinas Dramis Hires New Grand Rapids Personal Injury Attorney — In September 2016, Adrian Copeland joined the firm’s West Michigan office as an associate attorney. Personal Injury Lawyer Catherine Tucker Joins Sinas Dramis — In June 2016, Catherine (“Katie”) Tucker joined the firm’s Lansing office as an associate attorney. Daniel James Joins Sinas Dramis Grand Rapids Office — In May 2016, Daniel James joined the firm’s West Michigan office as an associate attorney. For more on the firm and its family history, see About The Sinas Dramis Law Firm.